The good use that can be made of it through the production of electricity provides great benefits for homes or office buildings. Although it is intermittent, it depends on the weather and the day-night cycles, the electricity generated by the sun can be used throughout the day if it is stored in batteries. The environmental benefits are as important or more than the economic benefits since they, directly and indirectly, affect the whole world. The generation of electrical energy through conventional sources, coal or natural gas, pollutes a lot and causes the search for other alternatives less harmful to the environment. It stands out among all, the photovoltaic energy that as it has been said previously, is inexhaustible and endless. At present, society is concerned about the environment and air pollution, caused mainly by conventional thermal power plants, but also by the contamination of river water due to the discharge of toxic particles from the byproducts of these power plants. Therefore, more and more experts are involved in the search for alternatives. 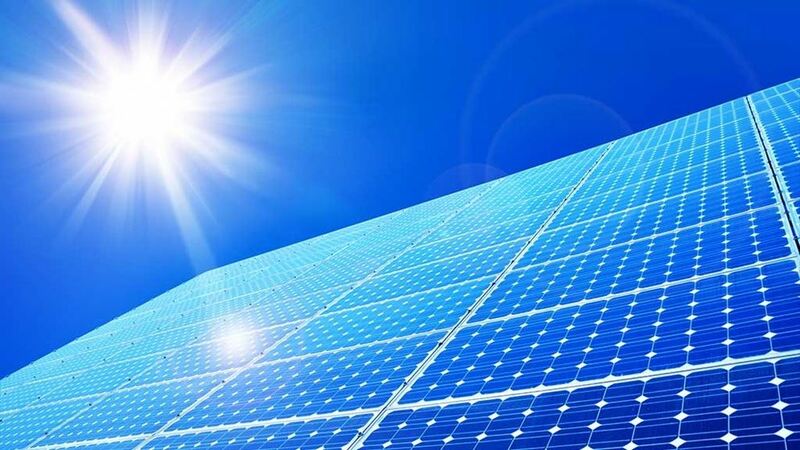 Of all the photovoltaic stands out, because it is inexhaustible, is available throughout the plan and is profitable. Would a system of solar panels in my house be adequate? The future of photovoltaic energy is hopeful. The demand for renewable energies is increasing due to the unstable situation of the fossil fuel markets and the reduction of their reserves. In the same way, the environmental and economic benefits also have to do with the increase of this demand. In the last ten years, there has been an 80% reduction in the price of solar panels. Obviously, prices vary depending on the brand of the solar panels but factors such as the choice of the installer and the type of financing also come into play. How much will I save on the electricity bill? The savings obtained depend on various factors such as the size of the photovoltaic system, weather conditions, the price of light, etc. but, the electricity bill can be reduced up to 70%. How long do the solar panels last? Solar panels last at least 25 years and have manufacturer guarantees that prove it. Photovoltaic panels collect and convert the sun’s energy into electricity, and are a key component in a photovoltaic installation. The cells that make up the photovoltaic plates react to light, releasing electrons that are then channeled and collected to form electricity. The most common photovoltaic modules in the residential solar market consist of monocrystalline or polycrystalline solar cells. Can solar panels be installed in my home? The majority of the houses do not have problems to put solar panels for self-consumption on their roof. If you have a roof or cover in bad conditions, it is advisable to make a re-roofing to later install the panels. Another important factor is the orientation of the panels. In Spain, the best orientation is towards the south and of course, the roofs or roofs must be free of shadows. What is the power generation potential of my roof? How many plates can fit on my roof? As with any major investment, when buying an electrical self-consumption facility, it is necessary to conduct an exhaustive investigation and evaluate various options, including a complete review of the installation companies. Experts recommend comparing as many budgets as possible to avoid paying inflated prices. To find the best deals and the best professionals, you will have to use a network of installers. You can receive multiple free quotes from qualified installers just by registering on our platform. The biggest is not always the best. This is one of the main reasons why we encourage owners to consider all their options before deciding on one or another solar energy company. Not having more money to invest in advertising means that they have the best conditions. If you have offers from any of these companies, be sure to compare them with quotes from local installers to make sure you’re not going to overpay. Large companies not only tend to offer higher prices but also tend to have fewer options for solar equipment (panels and inverters), which can have a significant impact on the production of your system. With several selves – consumption installation offers, you can compare the costs and savings obtained depending on the different equipment options available to you. There are several variables to consider when looking for the best solar panels on the market. While some plates are more efficient than others, investing in top-of-the-line solar equipment does not always entail greater savings. The only way to find your ideal solution is to evaluate several offers with different equipment and financing offers.